Last night Greg and I watched "Far From the Madding Crowd". We watched this because my brother, who is a very manly man, had told me that evening at dinner at my mom's house that the movie was good. We've been hard up for a good Redbox lately, so on my way home I stopped to get the movie and told Greg we were going to watch it for our movie night. "But it's a chick flick!" he complained. "No it's not!" I insisted. "Dennis said it was good. There's no way it's a chick flick." Well. It was definitely a chick flick. Not the best one either. Let me give you my synopsis and you can decide if you want to see it for yourself. There are definitely some spoilers ahead so if you think you might want to see this movie in earnest, I'd skip this next snarky paragraph. The movie (which never explains its psycho title) is set in the olden days when the girls all wore the pretty dresses. You know. The gist of the movie is three guys all propose to one girl. That girl is Carrie Mulligan, so I totally understand why they're all fawning all over her. She also owns her own farm too, so $$$. I'd propose to her too if I could. Anyway, the first guy who proposes to her is a total stud and will take good care of her but she says no because of pride. The second guy proposes to her and she says no because although he is kind, stable, madly in love with her, rich, etc he is too boring or old or normal for her. The third guy who proposes her is a weirdo/ ex solider who is always waving his sword around and almost cuts her hair off. He is ugly and disgusting. She says yes to this guy naturally. Two days after their marriage she discovers he's a jerk (shocker) just like guy #1 told her he would be. Husband/ Guy #3 finds out his ex girlfriend died and then drowns himself. As one does. So guy #2 who is really the nicest but a little bit boring, proposes again. Girl doesn't know what to do because she really loves guy #1 but guy #1 is too prideful to propose again. Then, TWIST Husband/ guy #3 comes back from the dead/ we find out he was never dead and he tries to take all the girl's money. Guy #2/ boring rich nice guy kills guy #3 in a fit of passion. Super nice guy, Guy #2, is forced to spend the rest of his life in prison while guy #3 is now dead for real this time leaving the pathway clear for guy #1 to marry Carrie Mulligan. She basically forces him to propose again, he does, and they make out. Which leaves the question, WHY DIDN'T YOU JUST SAY YES THE FIRST TIME YOU DUMMY? Movies these days. They ain't what they used to be. Speaking of movies, The Martian has gotten very very very good reviews. Greg always likes to see the high profile, good reviewed movies so I'm sure he'll be begging to go. But how many movies about space can one watch? I sat through Gravity, I suffered Interstellar but I just don't know if I can do The Martian. It's all I can do to understand what is happening in other countries, let alone other planets. And that's your official Bonnie-movie-review. You're welcome! I am kind of tired of the internet lately. Do any of you guys ever get that way? The internet is just so in your face. And sometimes it is just way too much. But given that I make the majority of my income by stuff I do online, I can't really just turn off the internet for weeks. But I wish I could sometimes. Instagram, for starters, makes me just feel the worst. Why does everyone look so hot? And how does everyone have adorable booties and fall scarves and spiced latte on hand at all times? And then half the time I am mad at myself- for buying into it, for mimicking it, for trying to fit in with everyone else and portray this perfect life that we all know doesn't exist. Mad at it for allowing me to feel that way. Instagram kind of feels like high school in a microscope. And the people looking in the microscope are the popular kids. And they're telling you that you'll never be cool enough. Facebook also wears me out sometimes. The highly offensive/ offended matter of facebook gets on my nerves. I think facebook might be the worst part of all of us. Someone is always chastising me for something I am doing wrong on facebook and I am constantly getting offended. Sometimes they even tell me that I am doing my facebook statuses wrong. I feel like we live in this world where everyone is offended at everything (including me!) and I feel like the bottom line is we all just hate each other? Maybe that's why I should just stick to twitter. Is twitter the purest form of social media? Or maybe I should just finally convert to snapchat and that will solve all my social media woes? Also sometimes I miss blogging. The old blogging, you know. Blogging before you had to do every post "8 ways to be happier" "7 things not to say to your mother in law" "6 tricks to clean your kitchen". I write these posts like everyone else because these posts get the hits but then I miss the days where I felt free to come and ramble on my blog to my heart's content without being afraid that I didn't have a clear enough focus. That people were bored. That people wouldn't click my link I would like to go back to 2011 blogging por favor when I wrote about leaving my wallet at Wal-mart. But you know what part of the internet doesn't make me tired? Shia Labeouf. I might be the last person on the earth to see his "Just Do It" video and I could not stop laughing. I see crap like this and my faith in humanity + the internet is restored again. This post turned into something quite different than I thought it would be. This is what happens when I sit down to write and don't have a scheduled post. The shiz hits the fan! Tomorrow my students are reading the "Get thee to a nunnery" speech in Hamlet and I am stoked because I love me some crazy Hamlet any day of the week. Also, I just started reading Go Set a Watchman by Harper Lee. So far I don't hate it! Which is what I was expecting based on all of the reviews. Have any of you read it? I'm interested in your reviews. And speaking of books, don't forget that on Thursday on the blog we are having book club for Happier at Home (or The Happiness Project. You could choose either.) I really really enjoyed this book, so I am excited to hear what you guys all thought of it. NOW, before I sign off to watch a Mindy Project with my husband I want to show you what I have been working on all day. SILVER! When we rolled out our Hey June necklaces two weeks ago, a lot of you guys asked for silver necklaces. 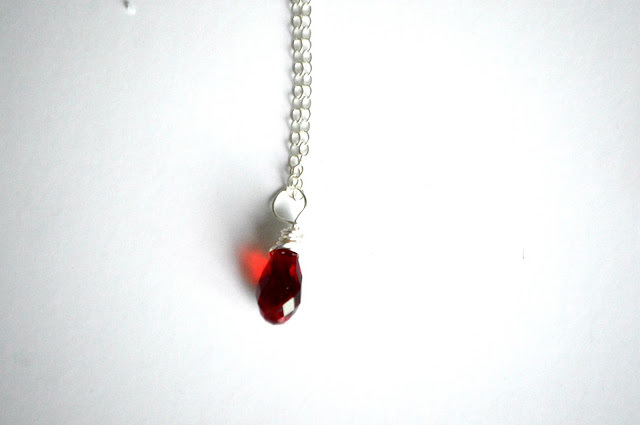 I have to admit, I didn't think they would be that pretty, but these sterling silver swarovski crystal necklaces are gorgeous! They are the same price as the gold option, and because we gave a discount for the gold, we are doing a 20% discount on silver necklaces for the first week only. We have to be fair, you know. 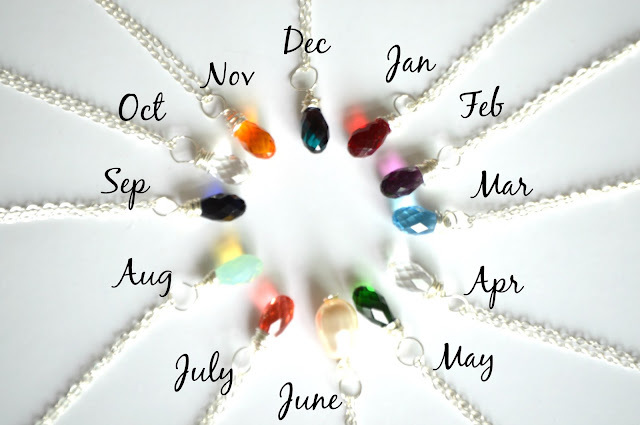 Use code SILVER20 on any silver necklace from now until Tuesday October 13. And thank you so much for all of your support thus far. You guys are so great. Every time I see an order come in my heart jumps with gratitude. THANK YOU. Tomorrow: We talk about what no one ever wants to talk about. Get ready!